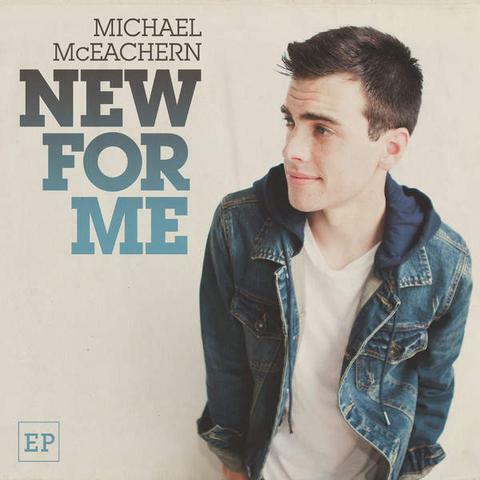 You could say that THON 2013 performer and rising musician Michael McEachern is a pop artist, for all intents and purposes, but if you did you’d be grossly undermining the depth and aptitude of his music. McEachern grounds his records in coffeehouse acoustic pop, keeping his sound as bright as the sun’s core, but arching from each silky hook and soothing guitar chord are warm rays of gospel and sparks of R&B. His debut EP New For Me (which dropped in early April) is a wonderfully light yet filling collection of records, showcasing McEachern’s knack for genuine, thoughtful songwriting and top-notch musicianship. Even in the EP’s heavier moments, McEachern cocoons his introspection with breezy acoustics and purring organs, sweeping all the sadness away in the untempered auditory bliss. New For Me kicks off with “One Way Heartbeats,” as McEachern lounges on a cushion of sweet harmonies and sweeter guitar licks, the sugary organ keys supporting his hopeful songwriting as he waits for that special someone to walk into his life. “What’s Inside” is filled with the yearning of a lovestruck man, modest in his charm and wanting nothing more than to become a part of the shy and beautiful woman’s life. “Easier As Us” is the EP’s lead single, a pretty little love song that bounces along as the crisp percussion brushes against the bubbling electric guitars. Like a young John Mayer, McEachern exudes nothing but warmth and optimism, as “Easier As Us” wraps around the eardrums like a soft blanket on a cold winter’s night. The EP’s title track utilizes sparkling synthesizers as McEachern celebrates new-found love in a way he’s never felt it before. “New For Me” is easily the sunniest part of the EP, sounding like a mix between Matt Nathanson and Owl City. The New For Me EP closes with “Peter Grabriel,” a more piano-centered track that references the famous scene from Say Anything, flaunting a chorus that’s literally surrounded in a cloud of pillowing harmonies. The EP closes out with a stripped down, acoustic version of “Easier As Us,” adding some earthiness to the already organic track. Watch Michael McEachern’s lyric video for “Easier As Us” above, and make sure to check him out on Facebook, Twitter, YouTube, and Tumblr! You can also purchase New For Me on iTunes by clicking HERE! McEachern’s got some big things in store for the future, so make sure to follow as he continues to make himself a name in the music industry as mainstream radio’s next big acoustic-pop crooner!